Das Design entstand komplett bei bigler.ca (farbliche Vorgaben durch Liliane Küng). Die Seite läuft mit WordPress, das Theme wurde mit Hilfe von iThemes Builder in WordPress übernommen. Das Logo wurde durch afg egli gestaltet. 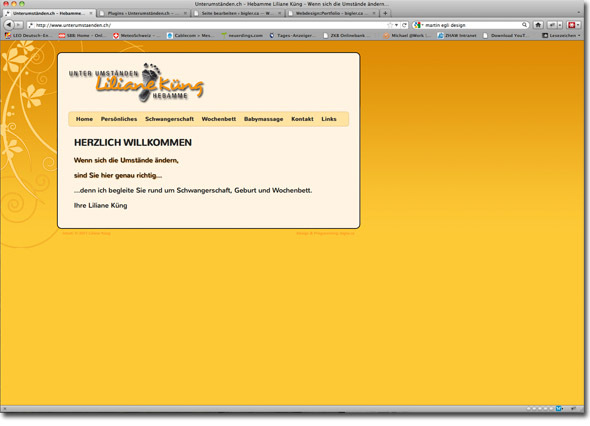 This entry was posted on Montag, Juni 20th, 2011 at 20:31	and is filed under Webdesig. You can follow any responses to this entry through the RSS 2.0 feed. Responses are currently closed, but you can trackback from your own site.